What's the biggest online shopping day in the world? Not Cyber Monday or Black Friday. They are the days that follow Thanksgiving in the U.S. and usher in the start of the holiday shopping season. The winner is China's Singles' Day, celebrated November 11, or 11.11. Singles' Day began as a day for unmarried or uncoupled people to celebrate their lives. Single students, looking for an excuse to buy themselves presents, started it on November 11, 1993, reported The Guardian. It is symbolized by the four number ones in the date of November 11 – 11.11— and is also called Double Eleven, in reference to the day it was started, said the BBC. It became a major shopping day in 2009. The CEO of an online shopping site -- Alibaba -- sought to increase sales at the e-commerce company. The CEO, Daniel Zhang, launched an annual online sale that day, said Fortune. When it first began, "Singles' Day was very much an offline solace for actual single people," noted the website Atlas Obscura. "A small group of students at Nanjing University are said to have chosen 11.11 as a day that singles could do activities like karaoke together." It quickly became a cultural phenomenon. Last year, Alibaba sold more than $1 billion worth of products in the first three minutes of the sales, reported Bloomberg. Total sales on Singles' Day soared to $9 billion within 24 hours. That's four times bigger than Cyber Monday in the U.S., which is the Monday after Thanksgiving and traditionally a big shopping day. By comparison, online sales in the U.S. last year on Black Friday were just $1.5 billion, reported TechCrunch. Today, Singles' Day is a retail blockbuster. 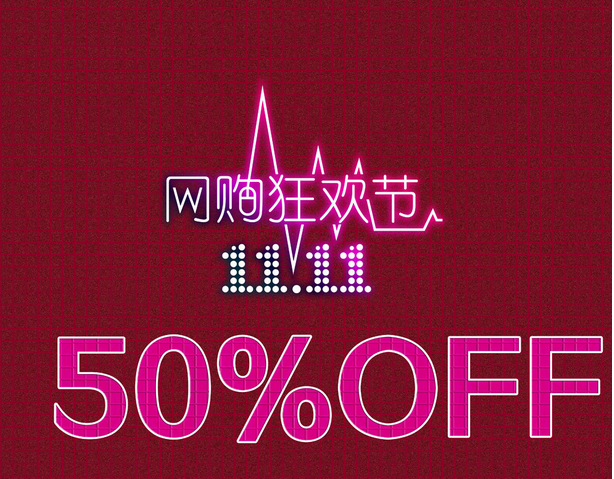 Analysts predict that this year, sales on China Singles' Day will soar to a new high. "We expect to have 3 million people coming to our site for the Singles' Day launch." Some observers think Singles' Day could catch on globally. In West Hollywood, California, a group launched an American version of the event on January 11, 2014, reported Atlas Obscura. They want to make 1.11 an official American holiday, "a day of recognition for those who find themselves on the other side of the couple's fence," according to the website. Of course, we haven’t even hit Black Friday or Cyber Monday, which are expected to bring in big sales for online retailers. We hope to usher in a more secure, stable, peaceful and equitable world order. He would indeed seek to patch things up. However, we should not have a bias to any cultural phenomenon. 1.Singles' Day began as a day for unmarried or uncoupled people to celebrate their lives. Single students, looking for an excuse to buy themselves presents, started it on November 11, 1993, reported The Guardian. The director is looking for a suitable locale for his new film. 2.It is symbolized by the four number ones in the date of November 11 – 11.11— and is also called Double Eleven, in reference to the day it was started, said the BBC. I have nothing to say in reference to that incident. I'm calling in reference to your Administrative Assistant position.